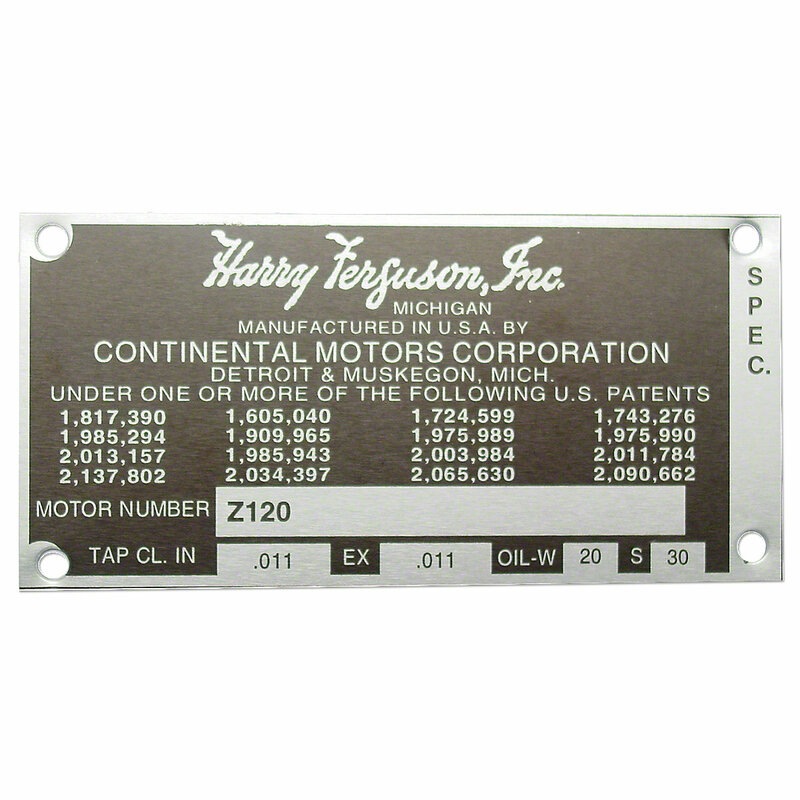 Engine serial number tag with rivets for massey ferguson: te20, to20. Engine Serial Number Tag With Rivets For Massey Ferguson: TE20, TO20. For Tractors With The Continental Z120 Engine.